Police charged a 52-year-old man in December with culpable and reckless conduct after screws were left strewn across roads in New Elgin. Two incidents in particular occurred last year, on October 29 on Anderson Drive and on December 3 on Bezack Street. Complaints of nails and screws being found in the area do, however, stretch back more than three years. At the time, it was hoped the arrest of a man in connection with the would bring relief to residents in the area who have faced repair bills totalling many hundreds of pounds to replace burst tyres. However, the Crown Office has now confirmed that they will not be taking any action against the suspect arrested by police. A spokesman did, however, add that this could change should further evidence become available. They said: “After careful consideration of the facts and circumstances of the case, including the available admissible evidence, the Procurator Fiscal decided that there should be no proceedings taken at this time. In recent years, police have gone door-to-door in an attempt to garner vital clues and have posted letters through doors appealing for information. Community safety wardens from Moray Council also joined the effort following repeated complaints from locals. However, police officers updating Elgin Community Council following December’s arrest admitted that “luck” had played its part in apprehending the suspect, who will not face any further action at this time. Local representatives have condemned the leaving of tacks and screws in the affected streets and car parks – which are busy in the morning and afternoon with parents driving to nearby New Elgin Primary School – as “idiotic”, putting motorists and pedestrians at risk. Police declined to comment on The Crown’s decision. Streets in New Elgin have been plagued by screws, tacks or nails being strewn across the street for several years. Reports of the implements first emerged more than three years as council wardens attempted to unmask the culprit. 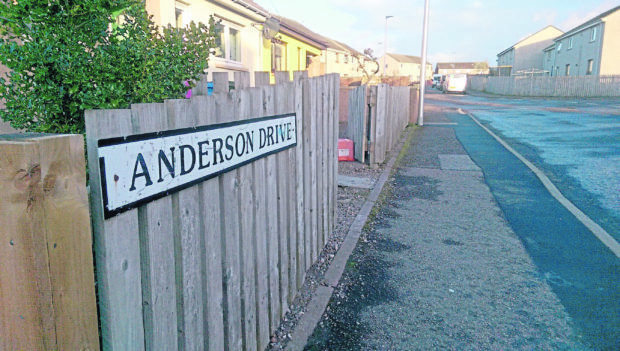 Since then, the sharp objects have appeared at sporadic intervals on roads and car parks on or around Anderson Drive, Bezack Street and Robertson Drive. Police approached members of the public door-to-door in an attempt to gather vital clues from residents. Notices were also posted through letter boxes urging people to remain vigilant.